Keeping Up With The Joneses: Is January Over Yet? The answer is no, but close! January always feels like the longest month of the year. February also feels long so I'm just sitting here waiting for my least favorite months of the year to pass by. As usual our time has been occupied with soccer. To make this post flow better I'll break it down by kid. Also - none of this post is in order so just go with it. 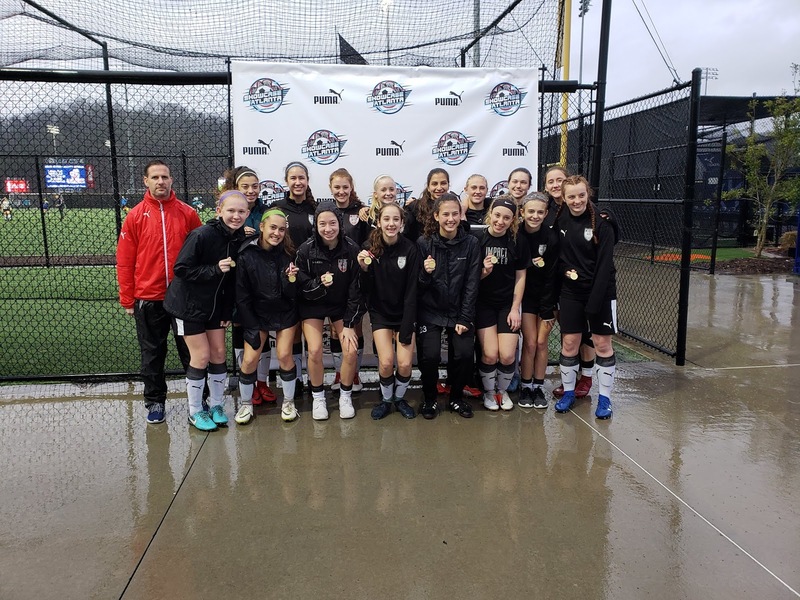 Sydney's club team spent most of the month training in prep for Showcase Atlanta College Showcase. The showcase took place January 19th and 20th. For those that don't know what a showcase is, it's a tournament college coaches are invited to come watch teams and individual players do their thing. Players can set up online profiles that coaches preview prior to games. Players can email coaches, share their game schedules, grades, soccer stats, videos, etc. Basically it's a way to market themselves to colleges. The weather was less than stellar for showcase weekend. Seems like every year the weather for this showcase is either crazy cold or raining. This year we got both - pouring rain and super cold. YAH! Bryan was out of town at a volleyball tournament in St. Pete, FL so I couldn't wimp out and send him to face the elements. He definitely had the better weather for the weekend! While we were at the showcase the girls were presented with their medals for winning the u16 Athena A division. Their stats for the end of season were 10 wins, 1 tie, 33 goals scored and they only gave up 2 goals the entire season. Not only has Sydney been training with her club team she has also been conditioning for high school soccer. Some days she would have back to back workouts. Girl is in crazy good shape! High school tryouts took place on January 14th and 15th. 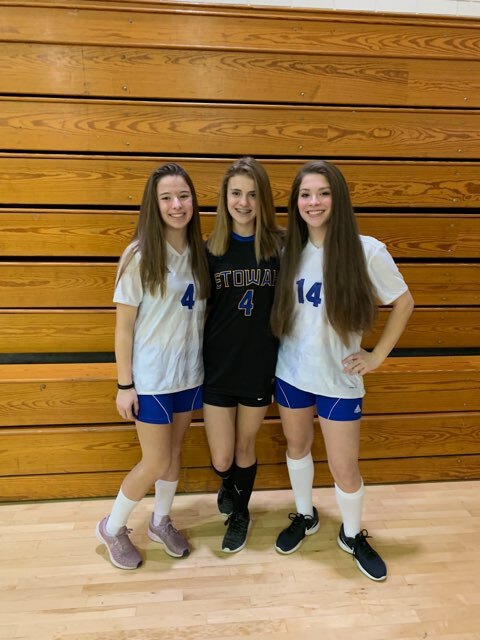 Sydney made the varsity team and practices are in full swing with season games starting soon. Sydney just returned from her first official college visit! 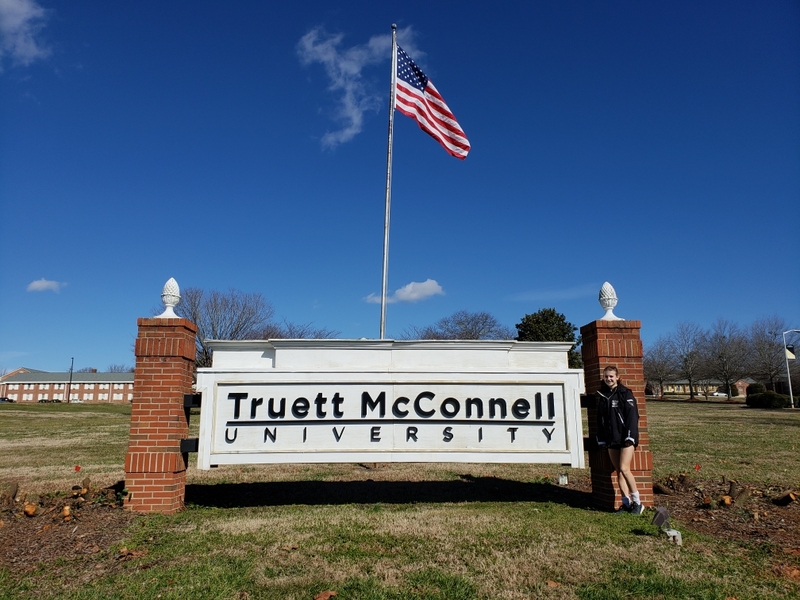 Truett McConnell University in Cleveland, GA saw her at a college ID camp and asked her to come for an overnight visit. TMU is a small private Christian college. On Friday the 26th Bryan and Sydney headed out bright and early for the visit. She went on a campus tour, attended a class for the major she is interested in (currently sports science or education) and then had the opportunity to practice with the team. They also had a team activity and dinner planned for the evening. She was a little nervous about the visit because she wasn't going to know anyone, but she ended up getting to stay in the dorm room of a player who just happens to be the big sister of one of her club teammates. How neat is that?! 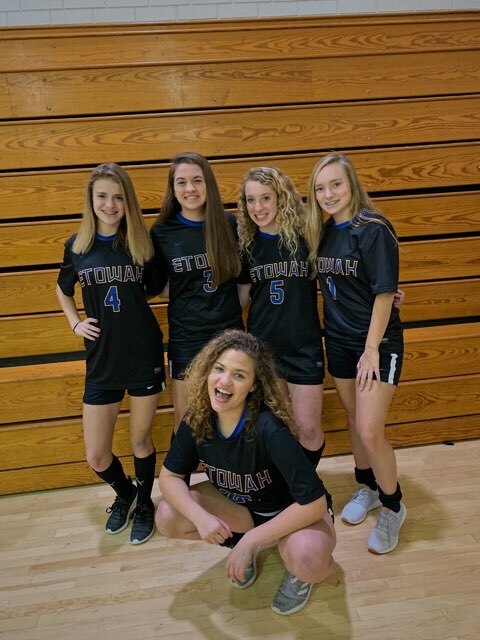 On Saturday she participated in some scrimmage games with the team before heading home to get ready for the winter semi-formal dance at Etowah. Let's chat about Miss Jordyn now. Jordyn has been busy playing middle school soccer. She was playing on the Booth Gold team and they were hoping to pull of another championship win, but they came up short this year. The outcome wasn't the result they had hoped for, but Jordyn played some nice looking soccer over the course of the season. She got the chance to play forward a lot and she was a little goal scoring machine. In one of the games she ended up scoring a hat trick (that's 3 goals)! Jordyn also had the opportunity to participate in the college showcase. 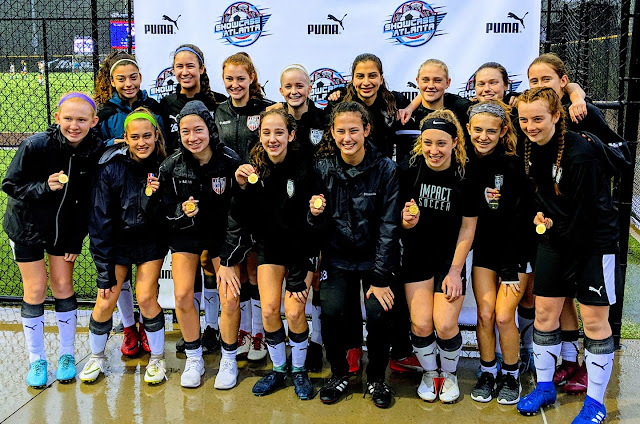 She was asked to guest play with the u15 premier team since they needed a few more girls to play. I was proud of her for playing hard and enduring a very wet and cold weekend of soccer. Lastly let's chat about my boy. Bryce has been on down time from soccer. Spring season practice starts the first week of February so his "rest" time is almost up. He did join the girls in a soccer workout a few weeks ago when the weather was delightful. I was thinking this would be it for January posts, but there is a rumor that we may get some snow so I might have a snow day post coming very soon. I am probably in the minority, but I am hoping that it doesn't snow. Gasp! The only thing the snow is good for is a family photo. Haha!